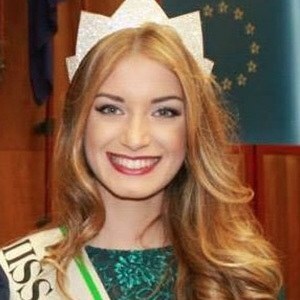 Italian beauty queen and model who is known for having won the Miss Italia pageant in 2013. She is also known for sharing additional modeling shots through Instagram for her over 50,000 followers. She first started sharing modeling photos through her Instagram in July of 2012. She gained further recognition as a model after entering the Miss Italia pageant the following year. She is also known for having participated in the Planter's Society pageant where she was elected Miss Cinema. She was born in Pisa but later moved to Sicily where she was raised. She shared a photo with television host and presenter Roberta Lanfranchi to her Instagram in September of 2018.